SeaDream Yacht Club is a family owned company, conceived by Norwegian entrepreneur Atle Brynestad: Founder, Owner, Chairman and CEO. Robert W. Lepisto, President, has been part of the original SeaDream team since its inception in September 2001. “It’s yachting, not cruising”, defines SeaDream’s mission. Providing a casual yachting experience that will exceed our guests’ expectations is our pleasure. With only a maximum of 112 guests and an award-winning crew of 95, SeaDream Yacht Club provides a true yachting experience. Cruising on one of SeaDream’s mega-yachts is as if you were cruising aboard your own personal yacht. SeaDream’s guests can be as active or as laid back as they wish while experiencing what our guests believe to be the best service at sea. All elegantly appointed staterooms are ocean view. SeaDream fares are inclusive and the 5-star cuisine can be enjoyed in the well appointed Dining Salon or on deck Al Fresco. Our twin luxury mega-yachts: SeaDream I and SeaDream II visit the intimate yachting playgrounds, harbors and ports where large cruise ships cannot go. 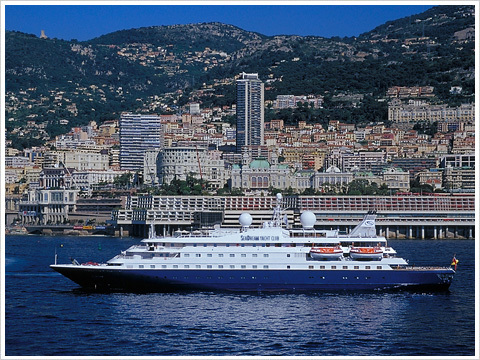 During April – November SeaDream I and SeaDream II sail in Europe and November – April, they sail in the Caribbean. In true yachting fashion SeaDream’s specially designed yachting itineraries also feature overnight stays in port so guests canexperience the night life of some of the most famous yachting ports in the world. “It's yachting, not cruising” There is a difference.